"Early Man-United vs. 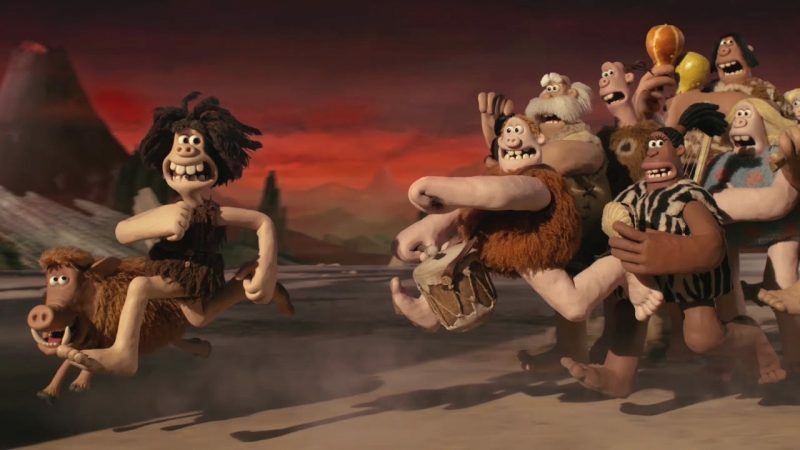 The Bronze Age"
The next Aardman film has been a long time in the making, and maybe Early Man isn’t as good as Chicken Run, but that’s a pretty high bar. 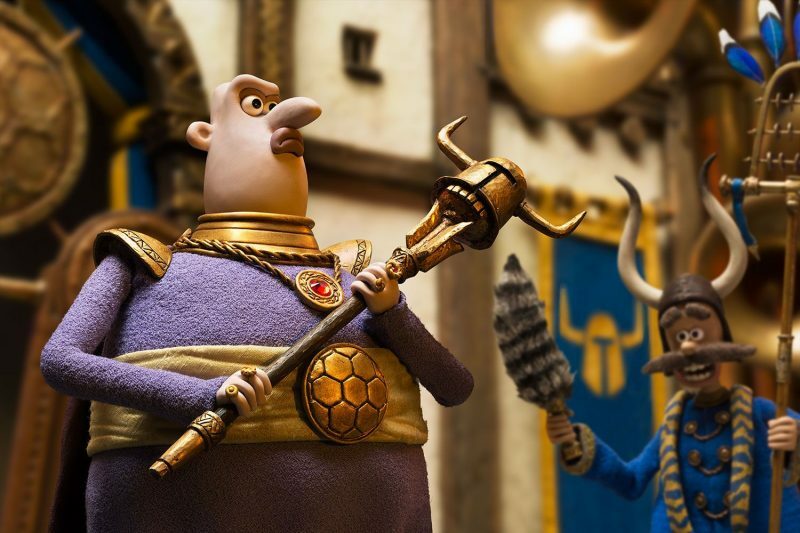 The iconic plasticine stop-motion animation is as jaw-dropping as ever, but the film is short on memorable characters and struggles to connect emotionally. Dug, our caveman protagonist, perfectly voiced by Eddie Redmayne, must lead his bumbling community up against the freight train of progress in the form of Bronze Age civilization. Somehow, in a feat of storytelling that is either genius or nonsensical, the film manages to be all about football. I know, I wasn’t expecting that either. Somehow, the fight to save their little prehistoric Eden rests upon a football match against the far more technologically advanced civilization. The classic David and Goliath story is given a unique twist, sure, but that doesn’t make it any less formulaic. The miscellaneously mainland-European Bronze Age team sport hilarious noughties footballer hairstyles and a nasty attitude, while the cavemen have to face the challenge of learning how to play football from scratch. Game of Thrones’ Maisie Williams voices the plucky Goona, a Bronze Age girl who wants to play football but isn’t allowed … because she’s a girl. Of course, she gets her moment of glory and her skill is invaluable to the plot, and the villain gets his comeuppance for doubting her talent. The whole thing is contrived and far from progressive, though. Maybe twenty years ago that sort of story would resonate with audiences, but now it just seems like a weak attempt to jump on board a movement that is far more nuanced than that. The right way to give this film a feminist message would have been to simply have an abundance of women on both sides, and have no one comment on it at all. Tom Hiddleston’s crisp voice is unrecognizable as the villainous Lord Nooth, whose pan-European accent is hilarious every time he says something. There are some pretty top notch running jokes with a messenger bird and a massage incident which had me in stitches. The best moments of this film are definitely the throwaway jokes and the punchlines rather than any emotional payoff from the wider narrative. Sure it’s a kids film, but with films like Moana and Coco out there with such power, Early Man regrettably falls a little flat. Some great background voice roles from iconic comedians like Richard Ayoade, Rob Brydon, Kayvan Novak, and Johnny Vegas still fail to make any particular characters stand out as memorable. That’s not to say that it isn’t a fun time, and kids (who are well versed in football) will absolutely love it. Certainly not nearly as iconic as Wallace and Gromit or Chicken Run, but a fun tale with incredible animation. 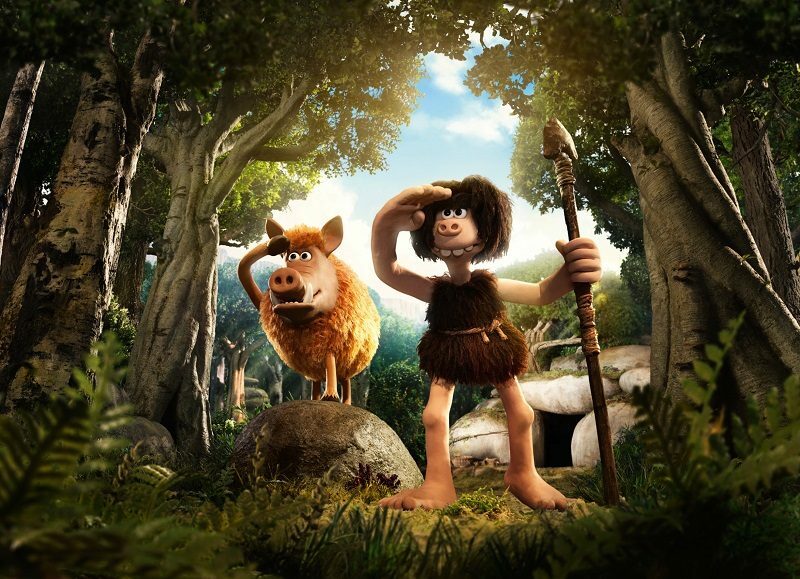 Early Man is in cinemas on Fri 26th Jan.